Curry 2 Night is an Indian takeaway located on Muirhead Avenue in West Derby. If you don't fancy cooking tonight then leave the hard work to Curry 2 Night and put your feet up and place your order, we'll do the rest. Why not be adventurous and create your own menu, a meal for one or an elaborate banquet for family and friends. Choose from a vast array of dishes. Perhaps start with a Tandoori Chicken starter or Mulligatawny soup. 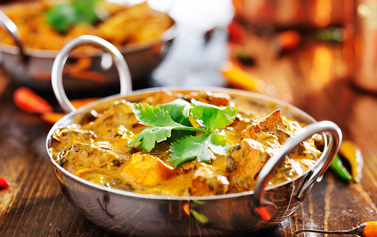 For your main course you may like to try Butter Chicken which is a fairly hot dish consisting of chicken tikka marinated in yoghurt, herbs and spice and prepared with buttered special masala sauce. The best curry house in Liverpool food always arrives hot and is delicious. First time ordering ! Food delicious ! And here before the estimated time ! Would highly recommend and would definitely order again !